Many people come down to Balham to spend quiet weekends because it gives them the privacy and intimacy that they seek. The people are quite friendly, down-to-earth, peace-loving and relaxed. They are totally unpretentious, but helpful. Still there is so much to see here in Balham, so many new shops, eateries, bars, restaurants and other attractions. If you are tired of spending vacations in noisy and crowded locations it is time you sought some quiet. Balham is the place for you if you want to clear your head. Many new shops have come up adjacent to the long standing ones, but since they’ve already blended in with the surroundings they don’t look out of place at all. There are several family run businesses in Balham and they are totally devoted to their business. If you are wondering about the prices then Balham is one place where you don’t worry about your bank balance. There are places where you can buy things rock bottom cheap and there are places where you get them highly priced, but you don’t find many shops that have a medium price range. Balham is now thriving by becoming a shopping centre but the beauty of the place is still intact. Located in Hildreth Street in Balham, this is one of the busiest flower shops where you get to buy all that you need in flowers. The shop is owned by a friendly lady, Lisa and she will advice you so you can make a sensible purchase depending on what occasion you are planning to attend. She is highly knowledgeable about all the flowers available in London and she will let you mix and match them to prepare a fresh bouquet of aromatic flowers for your girlfriend. She will help you select flowers with her talented eye and combine them with certain vintage props so you can make them really special. All kinds of exotic flowers are available for sale too. The shop has a huge following of locals and tourists all day long irrespective of the season. This garden of Eden will definitely make your day. Odd Bins in Balham High Road is a very famous wine merchant with hundreds of shops all over the world. They have cases and cases of beers, wines, champagnes and any other spirits you fancy. You can choose your wine by grape, country, style or price. Odd Bins cater to buyers of any budget range. Anyway it doesn’t matter what spirit you choose to buy, you get only quality stuff here and that is guaranteed. Wines are imported from all over the world and you have select varieties of Australian wine, Austrian wine, Italian wine, New Zealand Wine and so on. Whether you are going for a barbeque party or even a wedding you can easily pick a bottle from here. There are not many people who haven’t heard of Oliver Bonas and thankfully they have a shop in Balham High Road too. All your furniture, stationary, clothing, jewellery, homeware needs are whetted here and you get guaranteed top quality stuff. They constantly refresh their stock so you get only those items that are in the height of fashion. No one ever comes out of Oliver Bonas empty handed and that is why the shop is so popular. Once you make a purchase you don’t have to lug the shopping bags around; it will be delivered to your address the same day. The down- to- earth nature of the people living in Balham attracts tourists to this land. 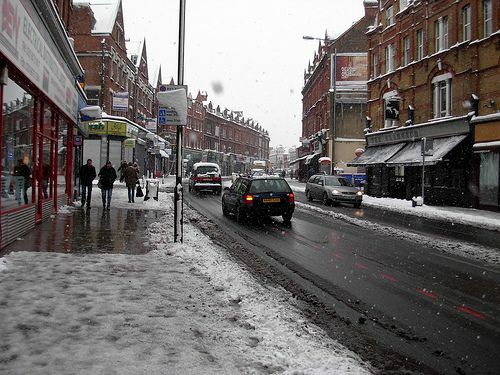 It is actually a wondrous change because Balham is situated quite near to Clapham which is a major district in London. However, the modernistic culture of the metro cities have not yet washed over Balham; it still retains its virgin beauty and pristine disposition. Balham is a pleasant change from all the major tourists spots in the world; here peace is the predominant factor.